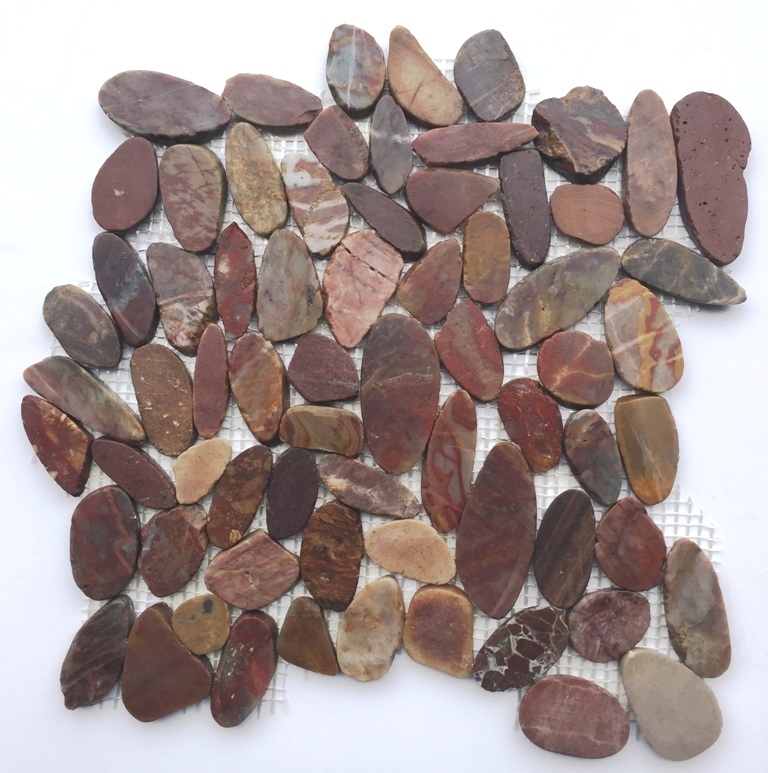 Redwood flat Interlocking 12x12 Polished Pebbles. SOLD BY BOX OF 10 SQ FT / 10 TILES. Transport yourself to the depths of the Redwood forest with these wood inspired tiles. Rusty cocoa colored Redwood brings us back to our natural roots, adding peace and rare serenity to our atmosphere.